We all know that nothing can take an outfit from OW to WOW than adding an amazing accessory and few come more eye-poppingly awesome than the colourful array of scarves from Caramel Jones. In the latest in our “On Our Radar” series, we sit down and natter to Sandra and Mel, the sisters behind this gorgeous line of accessories. 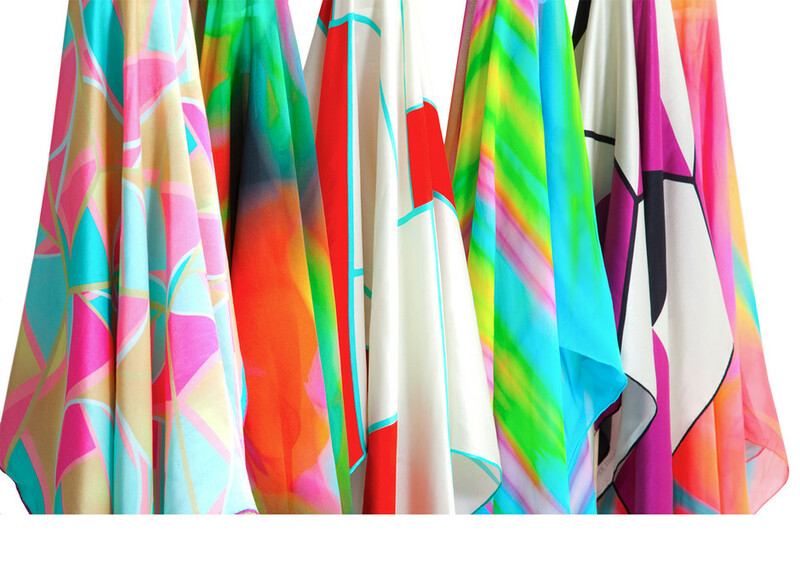 Two ladies who are as bright and colourful as the scarves they design! We are can’t help but be attracted to your stunning designs, but we would love to know more about the ladies behind them! Tell us a little about yourselves, and your backgrounds. So how did you decide to start your business and how has it evolved? We always wanted to start a business and as our children were getting older we felt it was the right time to start. We originally wanted to have our own clothing range, but not coming from a fashion background and having no formal training in the fashion industry it was very hard. Our inspirations are from vintage eras and the use of colour. 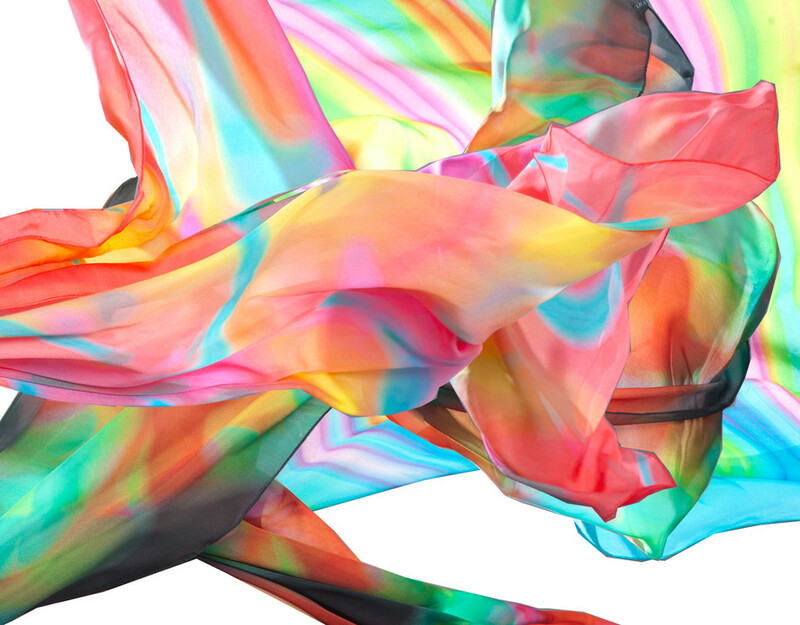 We love working with silk and thought scarves would be a better starting point. We started out with block colours and simple prints and we have now developed more complex designs which merged shapes and colours, producing fun, vintage-inspired prints with a modern twist. We love the name Caramel Jones! Where did it originate from? that was was simple and classic, but at same time had a warm, fun feel. The business is such a family affair – what’s it like getting to work with your sister? Working together as sisters has its ups and downs. As we both have the same goals and values, we just agree to disagree. We have different strengths and weaknesses which complement each other and bring a diverse range of skills to the business. What are the best parts and most challenging parts of your business? The best part of the business is designing and we love doing photo shoots. As for the more challenging parts we would say it’s probably PR and marketing. Describe an average day at Caramel Jones? There’s not really an average day but everyday starts with checking our emails and our website. When running a business there are so many things to do, so each day can be quite different. Generally, designing new products, liaising with manufacturers, marketing, social media, posting orders and updating our website are the kinds of things we do. We both work from home so we are always in contact by phone and try meet up most days. Your pieces are so fun and colourful with strong patterns. What influences and inspires you? As you can probably tell, the use of colour is a big inspiration. How we use these colours is inspired by the vintage era, with modern influences to keep our designs fun and current. Another influence in our brand is quality. If you HAD to pick one piece from your collection, which piece would be your must-have to get you through AW15 and how would you style it? 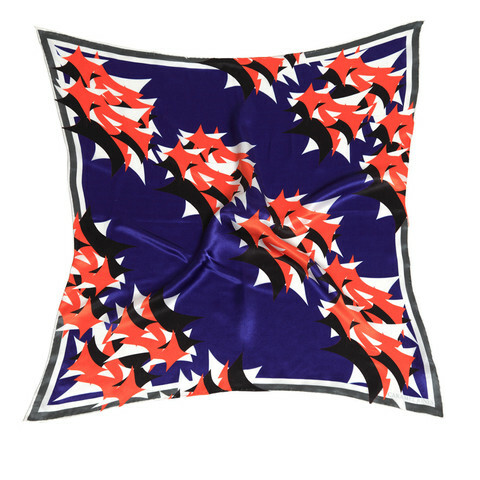 Our scarves are designed to be creatively versatile and not necessarily seasonal. 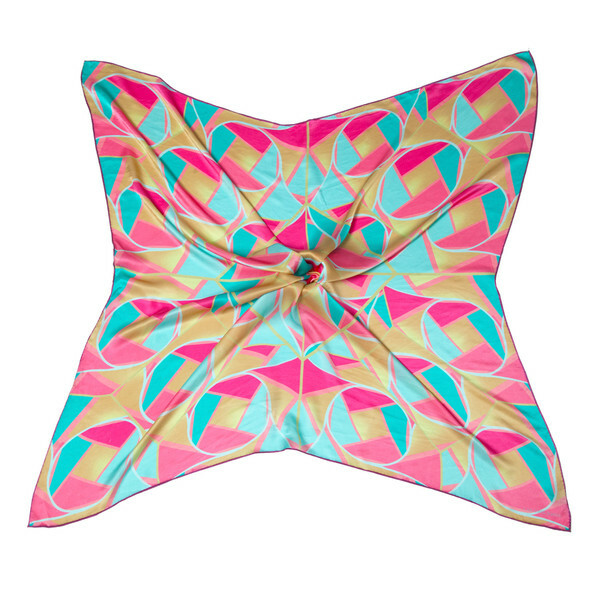 Our Alison-Shay silk chiffon scarf has an amazing print and can be styled with beachwear as a sarong or bandeau top, or as a head scarf, be it a turban, top knot or hair tie, and of cause worn simply as a neck scarf. What do you think the Caramel Jones woman/customer is like? A Caramel Jones customer would be a person who is creative in their fashion, loves colour, wants a statement piece, likes to experiment with vintage and contemporary style influences and wants a quality fashion item. Which celebrity would you LOVE to see rocking some Caramel Jones? We would have loved to have seen Marilyn Monroe wearing one of our scarves, but right now it would have to be Sarah Jessica Parker – we love her creativity and style. Our individual styles are defined by our like of classic influences in fashion, while being current and tasteful. What has been your proudest moment in running the business so far? There are many proud moments, seeing our designs for the first time is always a very proud moment for the both of us. And finally…what’s the SS16 scoop at Caramels Jones? Any sneak peeks for our readers? 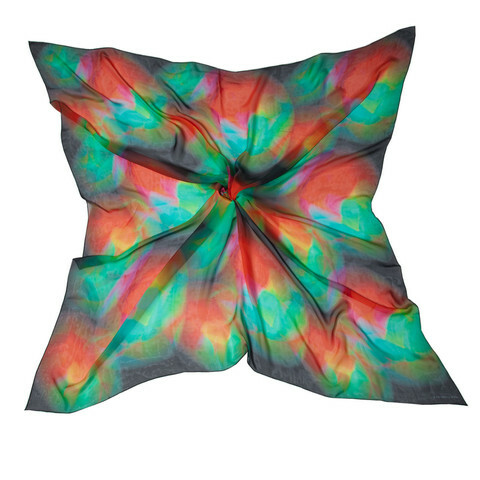 We have just got samples of bandana designs in silk and polyester, which we will launching very soon. Thank you so much to the wonderful Sandra and Mel for sharing their story with us! Loving our “On Our Radar” series? Catch up with the rest of our posts here featuring the delights of Black and Sigi and Novella! And, as always, we love hearing what you think, so connect with us – comment, subscribe or join us on Twitter or Instagram! Until next time fashion fillies.